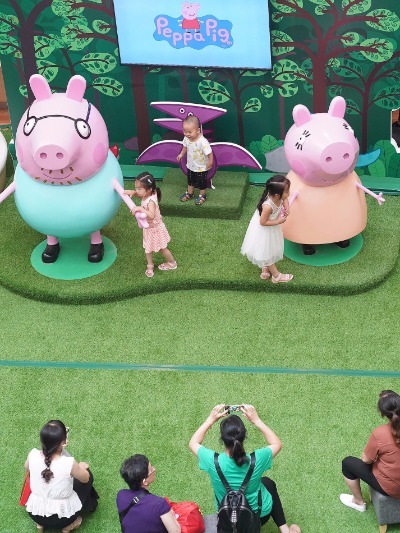 British operator of visitor attractions Merlin Entertainment plans to open more Peppa Pig and Legoland attractions in China, following the launch of the world's first Peppa Pig World of Play in Shanghai in October, said a China Daily report Wednesday. With 11 attractions operational in China, the company has announced it will open a Peppa Pig World of Play and a Legoland Discovery Center in Beijing next year. "China is an important market for Merlin as we continue our strategy of geographic diversification," John Jakobsen, Merlin's Chief new openings officer, was quoted as saying. Eyeing the popularity of the children's animation Peppa Pig in China, Merlin struck a licensing deal with production company Entertainment One to build attractions based on the Peppa Pig brand in 2017.